11 beautiful photos of shuls that were once home to thriving Jewish communities. Faith has long inspired some of the most remarkable architecture around the world. 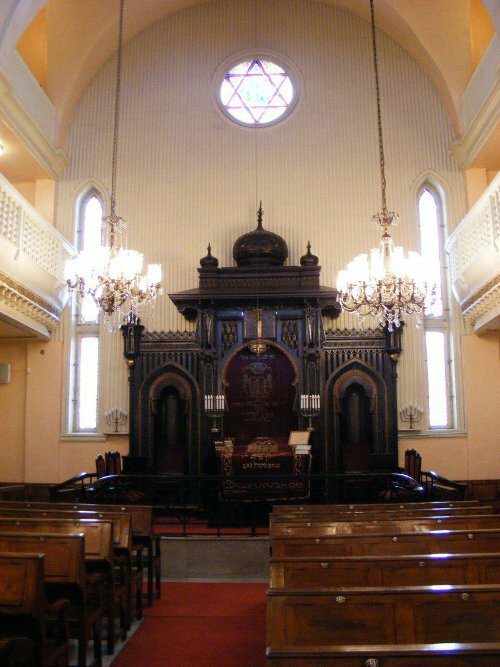 In Judaism, the synagogue is seen as more than just a physical building: It is a central address and institution for the expression of Jewish identity and traditions, embedded in the social fabric of Jewish communities. These synagogues were once scattered across the Middle East and North Africa and were home to thriving and flourishing Jewish populations, some dating back to ancient times. Since the creation of Israel in 1948 and the 1967 Six-Day War, however, these numbers have dwindled due to persecution and subsequent emigration, leaving behind only a few thousand Jews in the Arab world. Small clusters of Jews can still be found in Muslim-majority countries, including Egypt, Lebanon, Iran and Tunisia. 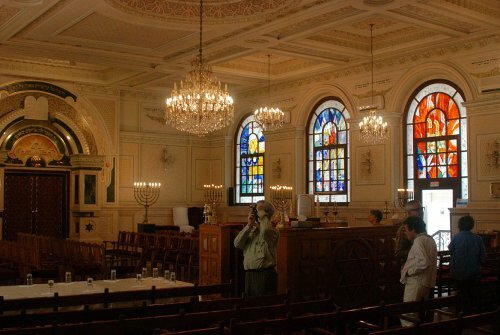 Along with this diaspora, the few remaining synagogues stand as reminders of the once-thriving Jewish populations in Muslim-majority countries and offer us a glimpse into the unique Arab-Jewish identity in the Middle East. 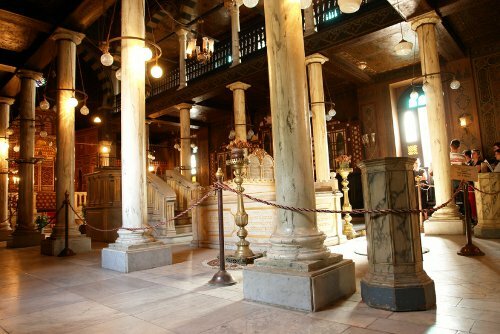 The 150-year-old Eliyahu Hanavi Sephardic synagogue in Alexandria, Egypt, is one of the largest synagogues in the Middle East and boasts towering Italian marble columns and seating for more than 700 people, offering us a unique glimpse into what the once-vibrant Jewish community was like in its prime. Designed by Italian architect Gabriel Tedeschi, Ashkenazi Synagogue is located in Istanbul, Turkey, and was opened in 1900 for Jewish immigrants from Poland and Macedonia. The wooden black ark is carved with letters of the Hebrew alphabet and was brought from Kiev. It is also the country’s only Ashkenazi synagogue. Located in Fez, Morocco, one of the world’s oldest medieval cities, this 17th-century synagogue was reopened early last year following a two-year restoration project. It is an “eloquent testimony to the spiritual wealth and diversity of the Kingdom of Morocco and its heritage,” according to Moroccan King Mohammed VI. 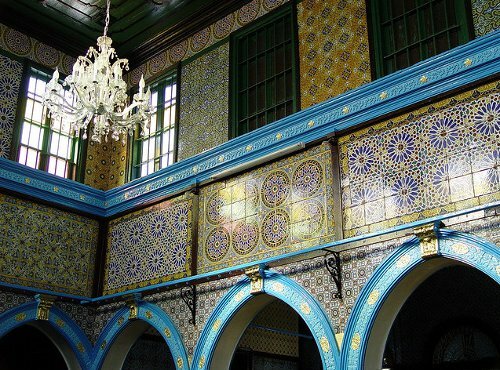 Islamist Prime Minister Abdelilah Benkirane represented King Mohammed VI in an inauguration ceremony marking the completion of a 17th century synagogue restoration project in Fez yesterday. In 2011, when a new constitution was adapted, the king said that Jewish places of worship throughout Morocco should be restored, even as the Arab spring roared across North Africa.The newly renovated Slat Alfassiyine synagogue in the heart of one of the world’s oldest medieval cities, the country’s cultural and spiritual nucleus, symbolizes how seriously he took that mandate. One of the largest Jewish temples in Egypt, the Shaar Hashomayim synagogue, which means “Gates of Heaven,” was built in 1905. 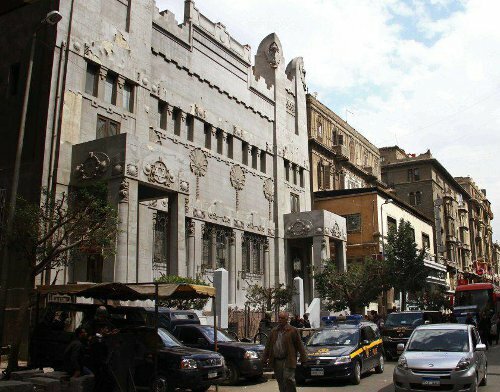 Also known as Adly Street Temple and Ismailiya Temple, the architecture of this synagogue resembles ancient Egyptian temples, and is engraved with lotus flowers and plants on its outer walls. 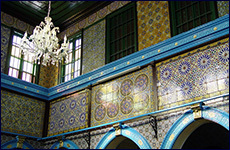 Located in Casablanca, Morocco, Temple Beth-El is one of the largest synagogues in the country, and is the religious and social center of the city’s Jewish community. Dating back to the 1930s, Neve Shalom, which means “Oasis of Peace,” is Istanbul’s largest synagogue. Tragically, it has also been the target of numerous brutal attacks by anti-Jewish extremists in recent decades. This building is the last remaining synagogue in Beirut, Lebanon. After the last rabbi departed in 1975, the synagogue suffered severe structural damage during Lebanon’s 1975-90 civil war. However, repairs began in 2009 and the interior has now been restored to its original state, with sky-blue walls and arched windows. Believed to date back almost 1,900 years, the El Ghriba synagogue in Tunisia, 500 kilometers south of Tunis, is Africa’s oldest synagogue. Last year the synagogue hosted hundreds of Jews from Europe, Israel and Africa in a three-day pilgrimage guarded by armed Tunisian police. 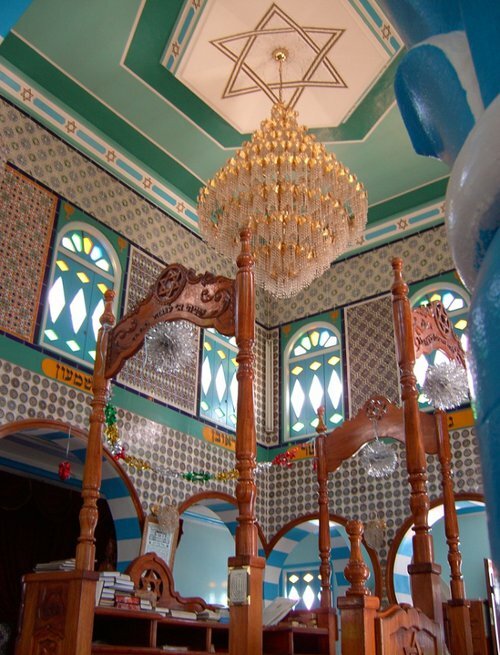 Home to a small Jewish community of around 100 people, this synagogue is located in Zarzis, Tunisia. Built in the early 20th century, the building was once host to a community of about 1,000 people. In 1982 the synagogue was torched shortly after the Israeli occupation of Lebanon, and the community’s Torah scrolls were destroyed before the building was restored. Zarzis is home to a Jewish community of around 100 people, all living in the Jewish quarter of the city near the central market. Many have jewelry shops and run other businesses such as carpentry and the Shimon Haddad and sons general store, the shop sells natural remedies and other miscellaneous products. 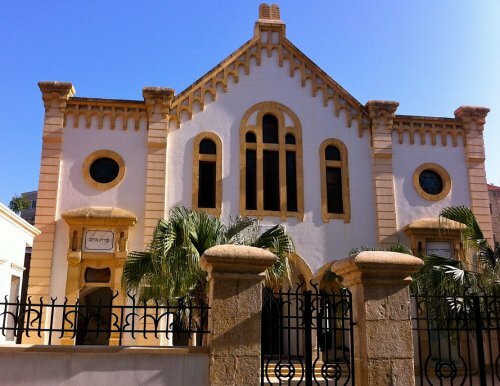 The community is served by the Zarzis Synagogue, built in the early 20th century to host the local Jewish community that numbered approximately1000 people at the time. 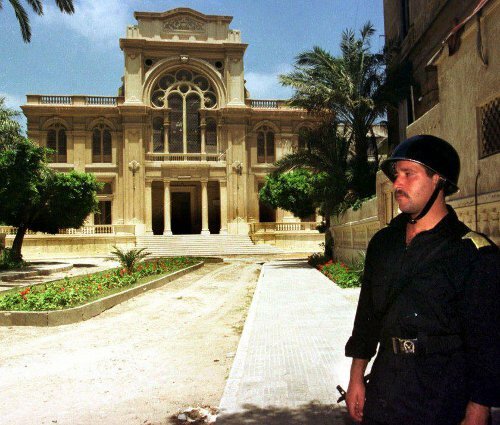 The synagogue was subject to an arson attack in 1982 that followed the Israeli incursion into Lebanon before it was restored to its original status. Prayers are read in the synagogue every Saturday morning and the synagogue hosts a Yeshiva, a Jewish Torah learning school during the week. The synagogue has a distinctive Andalusian architectural style. 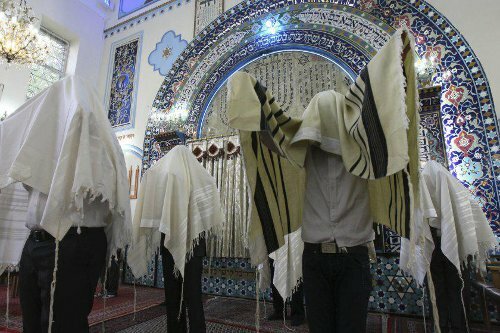 Iran’s population of 75 million includes about 20,000 Jews, the largest Jewish population in the Middle East outside Israel. 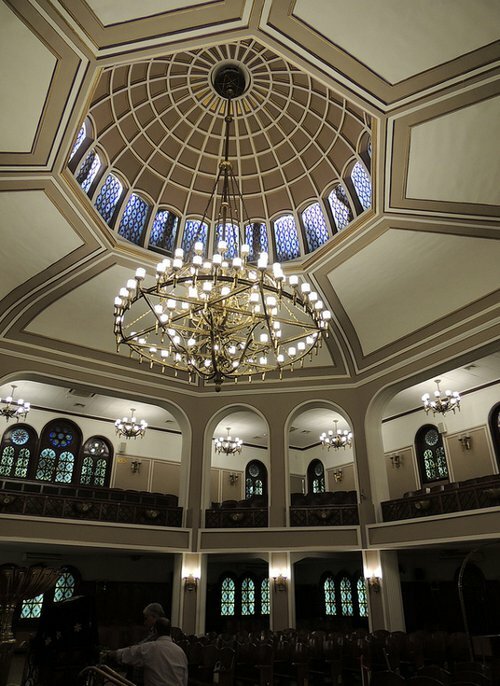 The Pol-e-Choubi synagogue in located in Tehran, Iran. According to local legend, the synagogue is said to be built on the exact place where Moses was found near the river shore. 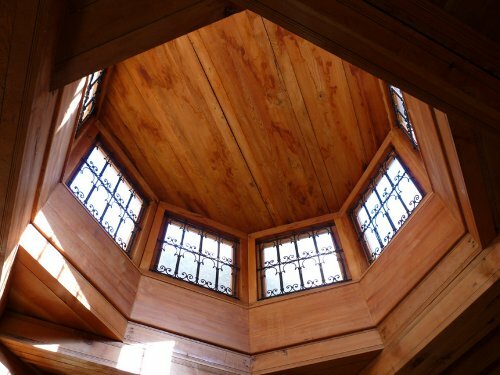 Segun tomado de, http://www.aish.com/jw/s/Photos-of-the-Last-Remaining-Synagogues-in-the-Muslim-World.html el jueves, 4 de dic. de 2014. Previous Post ¿Debo perdonar a todos?